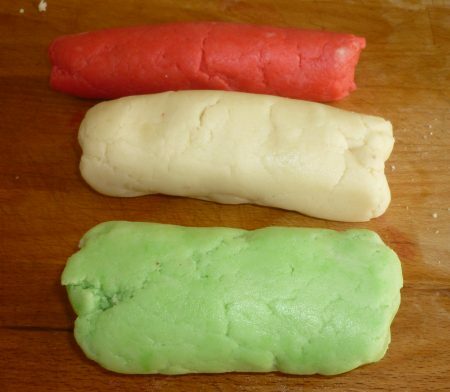 Easy Marzipan Recipe for Christmas. This Marzipan recipe will keep well in an airtight container or even in a plastic bag. You will find marzipan confectionery in almost all Danish homes leading up to Christmas or during Christmas and New Year’s Eve. The confectionery comes in all different shapes and tastes and a lot of them are homemade. 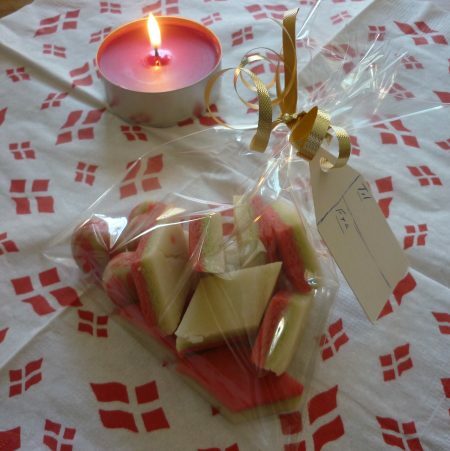 In Denmark, and many other countries you can buy the marzipan ready to use. Have a look at bigger supermarket chains for Odense Marzipan. 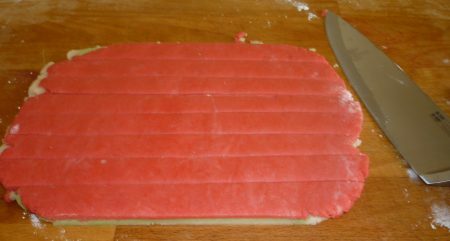 If that’s not available you can use cake marzipan, or even better; you can get some raw marzipan and mix it up yourself. If You Buy Raw Marzipan, Follow This Recipe. 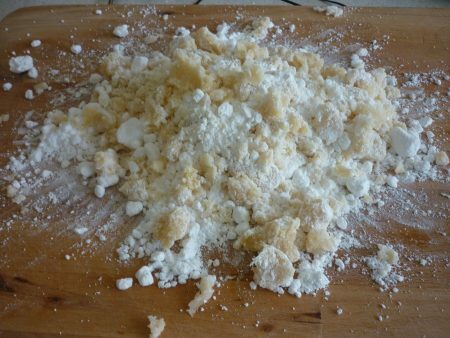 Break up the marzipan and mix it all together by hand, do NOT use a mixer. 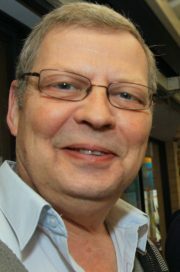 It may feel very dry at the beginning but after 7 – 10 minutes of mixing, it will all come together. Mixing The Marzipan Together By Hand. 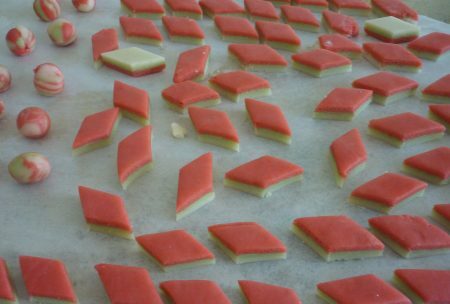 Different Varieties From This Marzipan Recipe. You can colour the marzipan by adding food colouring (go easy on the colouring, use only a drop or two at a time) or add cocoa or liqueur if you prefer. Roll marzipan into small round balls, adding an almond inside. Cover them or dip them in chocolate. 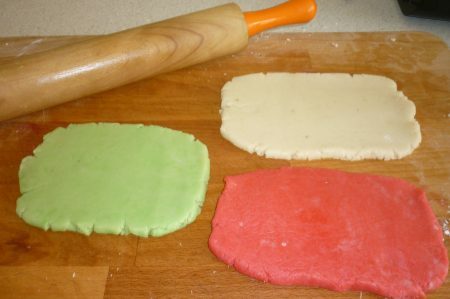 As you can see on the picture here I have divided the marzipan recipe into three lots and coloured one piece green; added red food colour to the second piece and; left the third white. The 3 pieces are rolled out to about the same size and I have used a bit of water between them so they stick together. After that, roll it out to about 10 mm thickness. FOR OTHER CHRISTMAS RECIPES:SEE ALMOND ALLSORTS. 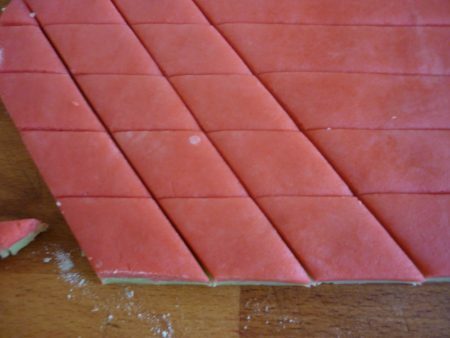 Cut the marzipan out about 18 mm wide and then cut them diagonal at about 18 mm. The scrap can be used for round balls, just roll them out in a sausage shape, cut them and make them round. If they are not covered in chocolate, leave them to dry out on a tray with baking paper for about 24 hours before packing away in an airtight container. When finished you may wrap the marzipan confectionery up in small cellophane bags and use them as small gifts for your co-workers or friends up to Christmas. Great gift for your co-workers. 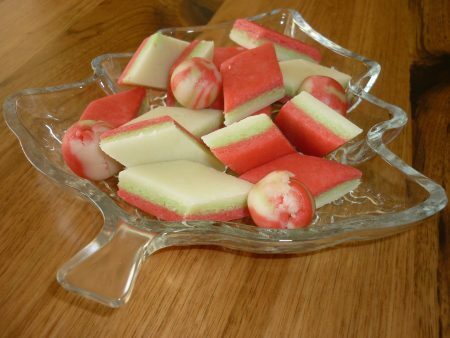 Leave Marzipan Recipe And Go To Home Page.